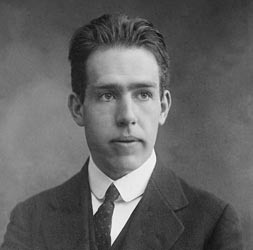 One hudred years ago, Einstein was interested in how things look to moving observers, while Bohr was worrying about why the hydogen energy levels are discrete. They are discrete because the electron orits are standing waves. Thus, there is a well-defined problem. How would the standing waves look to moving observers? Click here for the definition of the problem. Many distinguished physicists worried about this problem. 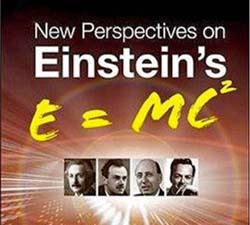 Among them were Dirac, Wigner, and Feynman. Let us review their works and integrate them. Three Wise Men from the 20th Century ? 1927. c-number time-energy uncertainty relation. 1945. Harmonic oscillators for the Lorentz group. 1939. Little group for internal space-time symmetries. 1972. Rest of the universe. Major Contributions c-number time-energy uncertainty, harmonic oscillators, light-cone coordinate system. Little groups defining internal space-time symmetries. Parton model, oscillator model for Regge trajectories, in addition to Feynman diagrams. Favorite language Poems. 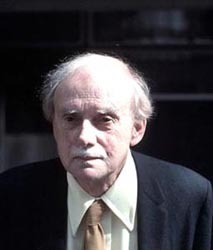 Dirac's writings are like poems. Two-by-two matrices. Diagrams and pictures. Soft spots Lack of figures and illustrations. Lack of physical examples. Lack of concrete physical examples. 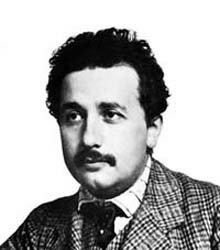 His 1939 paper could not explain Maxwell's equations. Sloppy mathematics. t2 + z2 = 2 for the circle. Dirac's idea is to use the Gaussian function (the language of quantum mechanics) for the circle. Click here for a paper on this subject. Click here for applications of the same mathematics to modern optics. Click here for a story. Another story. Click here for the detailed references for the papers mentioned above. copyright@2018 by Y. S. Kim, unless otherwise specified. 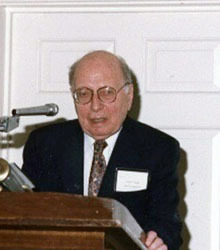 The Photo of Dirac by Bulent Atalay, and photo of Wigner by Y. S. Kim (1988). 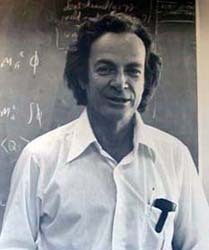 Feynman's photo is from the main lobby of the Feynman Computing Center at the Fermi National Accelerator Laboratory, Batavia, Illinois, USA.